Vans Vault presents their latest “Rose Embroidery” Pack that consists of the Vans Slip-On and Old Skool silhouettes. Both are dressed in Marshmallow and Turtle Dove checkerboard patterns throughout the upper atop a White rubber midsole and Gum waffler outsole. Highlighted each model are rose embroidery in Red and Green hues. 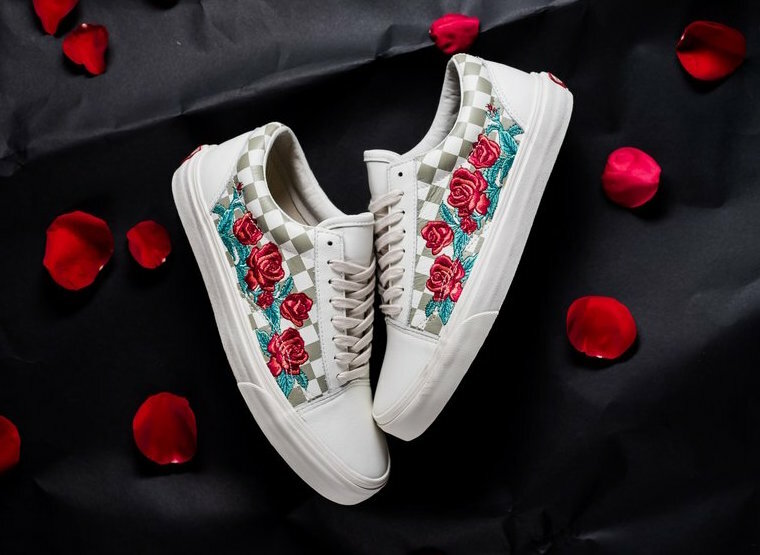 You can now find the latest Vans Vault Rose Embroidery Pack arriving at select retailers such as Sneaker Politics.